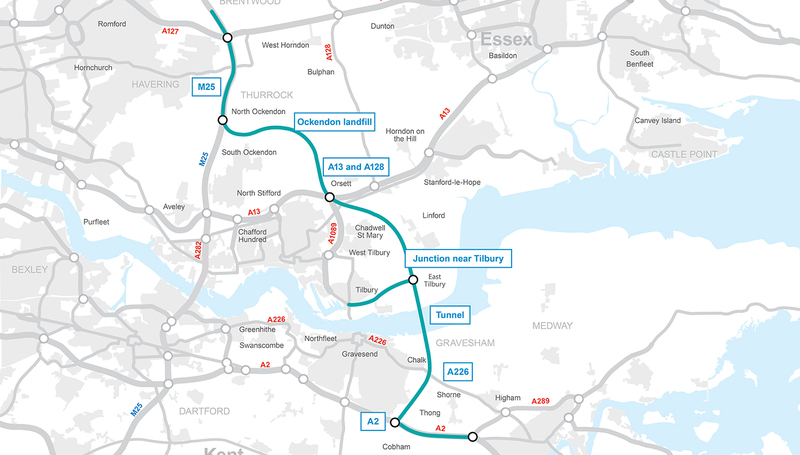 Changes have been unveiled to the route of the Lower Thames Crossing. Highways England is now proposing that the route between the A2 in Kent and A13 in Essex is three lanes in both directions, which will involve widening the A2 to junction 1 of the M2 to improve traffic flows. 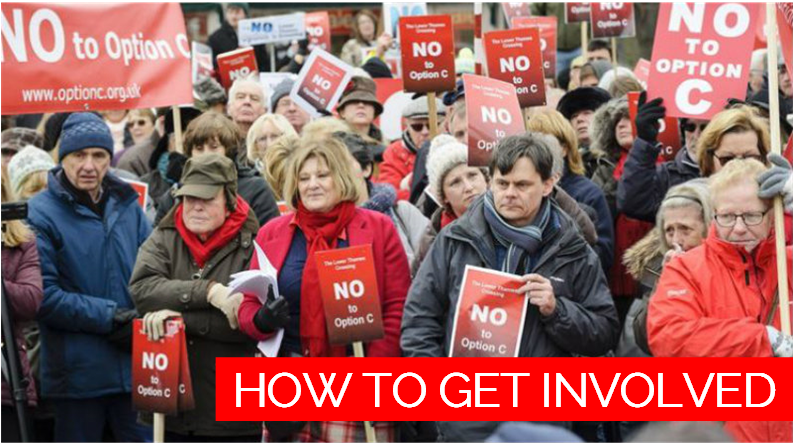 The proposed junction with the A226 has also been removed following feedback from residents and businesses that it would increase local traffic in the area. Highways England says, “We have been looking at the areas below as part of our ongoing development of the scheme based on your feedback to the 2016 consultation. This shows our current thinking for the design of the route, subject to further consultation. Our aim is to make sure the crossing provides the best balance between improving journeys, creating opportunities for economic growth, and minimising community and environmental impacts”. A226 junction – We’re removing this junction to reduce the traffic impact on local roads. A2 – New junction design and widening of A2 to M2, junction 1 to reduce congestion and improve traffic flow. Future proofing – There will be 3 lanes rather than 2 for some or all of the route. Tunnel portals – We’re continuing our assessment about the length of the tunnel and where to locate the entrances. M25 – New junction design to cross under the M25 to reduce the visual impact. Widening of a section of the M25 to improve traffic flow. 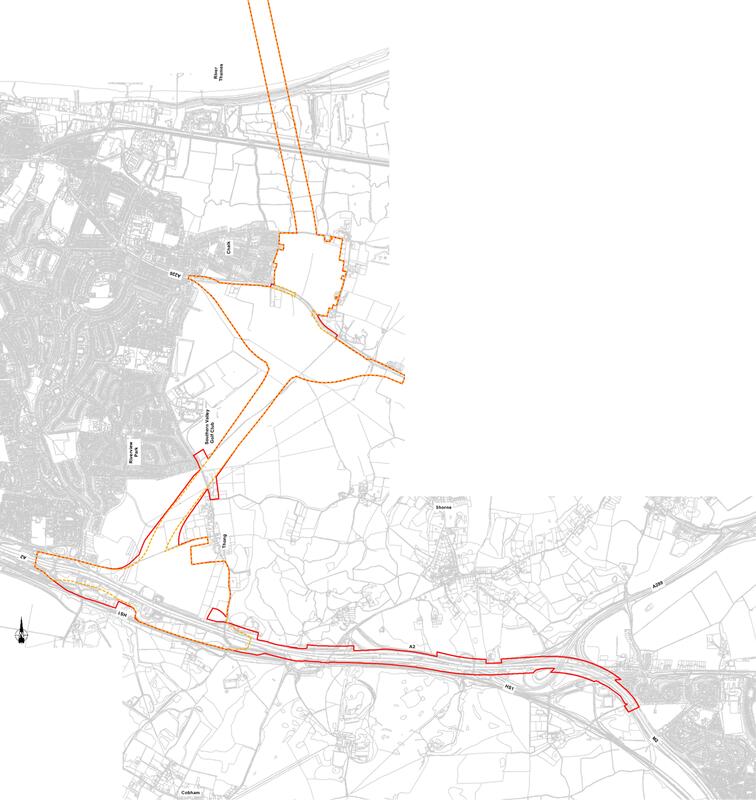 Ockendon – Changed alignment to avoid going across the landfill. A13 and A128 – We’ve redesigned the junction with the A13 to reduce congestion. This allows us to remove the A128 junction from the proposed design. New junction near Tilbury – A new junction near east Tilbury and link road to Tilbury to improve traffic flow and provide an alternative route for HGVs.